Elephants and Tea is the only magazine written for and by Adolescent and Young Adult (AYA) cancer patients, survivors and caregivers telling their story in their own words. Cancer is the Elephant in the room. Tea is the relief the magazine provides. 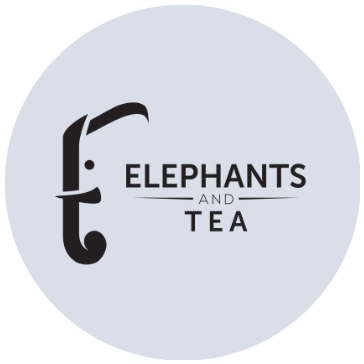 Elephants and Tea’s mission is to help AYA patients, survivors and caregivers experience relief through self-expression, inspire others during their cancer journey and connect with supportive organizations across the nation. Be Heard. Join The Herd. We've provided our research on special offers and discounts available to people with disabilities in our series of guides to help you find ways to save money. Founded in 1975, Disability Rights Legal Center (DRLC) is a 501C-3 non-profit, public interest advocacy organization that champions the civil rights of people with disabilities as well as those affected by cancer and other serious illnesses. DRLC is a leader in bringing cutting-edge cases to court and in winning victories to protect and to expand the rights of people to help eliminate discrimination and other legal barriers. Our mission is to guide young adults with cancer, to social support programs and services that can help them manage their mental healing as well as their physical battle. New Day serves the cancer community by alleviating the financial and emotional burdens caused by a cancer diagnosis, through our trusted financial assistance and counseling programs. The Allyson Whitney Foundation covers a wide range of needs, including (but not limited to): current and residual medical bills, rent, utilities, car and health insurance premiums, IVF treatments, integrative therapies, travel expenses, and medical hair pieces. If you think that you might be an ideal candidate for the grant, we’d love to hear from you. We’re standing with you, and want to give you hope and support during this time. Cancer Survivors' Fund is a non-profit organization chartered exclusively for charitable purposes; specifically to provide college scholarships and prosthetics to help persons diagnosed with cancer, receiving treatment for cancer or in remission to give them a new purpose and meaning in life.